Six clubs are involved in Girls Golf Rocks in Cheshire in 2019. They will all offer free tasters, for girls aged five to 18, followed by six-week coaching courses. Crewe - Sunday 12 May, 12:00 – 14:00 with coaching starting from Sunday 19 May, 13:00 – 14:00. Helsby – Saturday 4 May, 15:00 – 17:00 with coaching starting from Saturday 11 May, 15:00 – 16:00. Heswall - Saturday 4 May, 10:00 – 12:00 with coaching starting from Saturday 18 May, 09:00 – 10:00. Ringway - Sunday 12 May, 16:00 – 18:00 with coaching starting from Sunday 19 May, 10:30 – 11:30. Romiley - Sunday 12 May, 11:00 – 13:00 with coaching starting from Sunday 26 May, 11:00 – 12:00. Warrington - Sunday 12 May, 12:00 – 14:00 with coaching starting from Sunday 19 May, 15:00 – 16:00. At the taster sessions the newcomers will get together with other beginner girls to relax and play fun games. PGA professional coaches will lead the activities and Girls Golf Rocks Ambassadors from local clubs and the county girls’ squad will be on hand to help and encourage. Equipment will be provided and there will be plenty of time to chat and make new friends over refreshments. Girls can wear what they like as long as it’s comfy and keeps them warm. Trainers are fine for footwear. Girls who enjoy the taster can go on to join a beginner coaching group. They’ll join a group of other girls and learn the basics during six weekly, one-hour sessions. They will also have the chance to get out on the golf course on the sixth week and play in a team alongside the Girls Golf Rocks ambassadors. They will also receive a golf club and goody pack to help them continue to play golf. 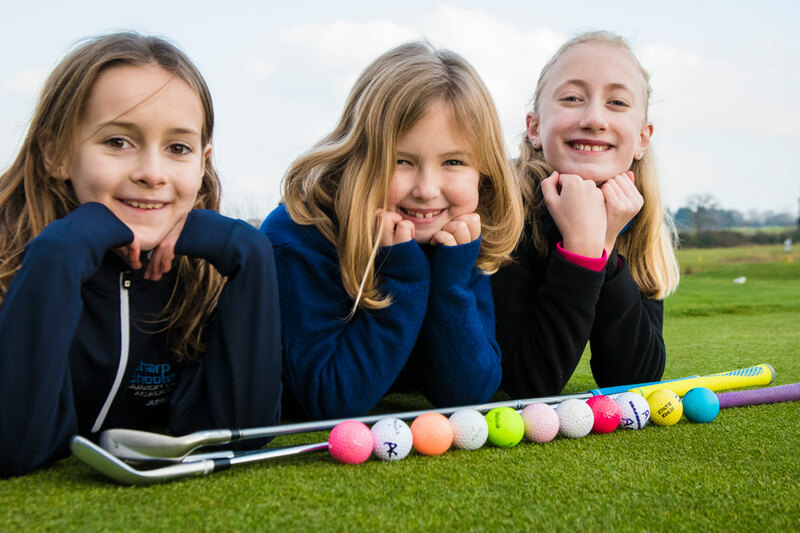 Girls Golf Rocks is run jointly by England Golf and the Golf Foundation and it’s bigger and better than ever in 2019. Cheshire is one of 26 counties taking part this year. That’s up by five on 2018 when over 1600 girls enjoyed a taste of golf, with many going on to coaching sessions. The new counties for 2019 are: Cornwall, Hampshire, Lancashire, Lincolnshire and Worcestershire. They join Bedfordshire, Berkshire, Buckinghamshire, Cheshire, Cumbria, Dorset, Durham, Essex, Gloucestershire, Kent, Leicestershire, Norfolk, Northumberland, Nottinghamshire, Oxfordshire, Staffordshire, Surrey, Sussex, Warwickshire, Wiltshire and Yorkshire. Copyright 2019. Cheshire County Ladies Golf Association (CCLGA). All rights reserved.